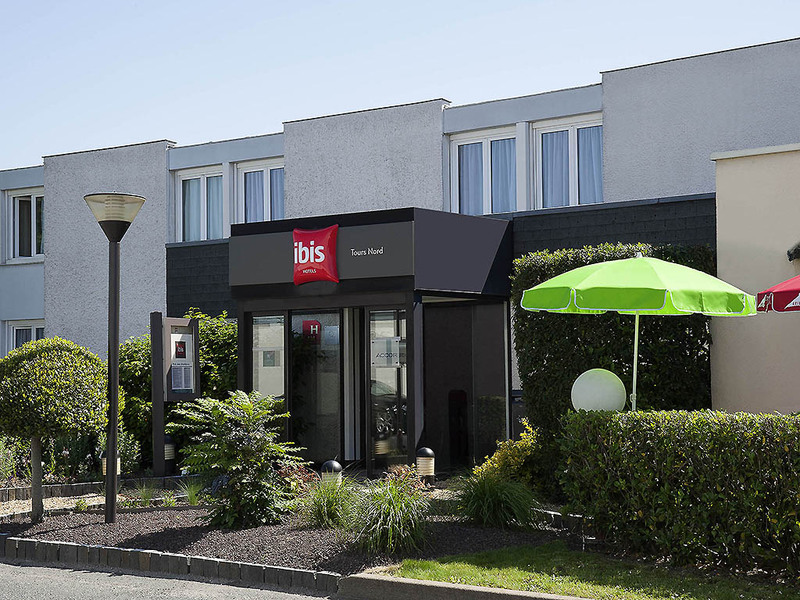 The ibis Tours Nord hotel is located in the heart of the Tours Nord business district, 15 minutes from the old town, the Saint Martin Basilica and the Saint Gatien cathedral and close to the châteaux of the Loire Valley. Ideal for a weekend break or a bus iness trip, the hotel has 60 non-smoking rooms with air conditioning and Wi-Fi access. The hotel is 15 minutes from the old town of Tours, the Saint-Martin Basilica and the Saint-Gatien Cathedral. Close to the main Châteaux of the Loire Valley, the hotel's location provides direct access to major highways. The Bistro Régent, simply delicious... serving main courses and desserts prepared on site using only fresh produce in a friendly and relaxed atmosphere. excellent, reception team is great and restaurent waiters are perfect. All is fine and nice. However, having only Five choice on the menu for lunch and dinner is not wise, especially for someone who is staying a week. As a member platinum of Accor my experience with the Accor hotel is a successful one. It was a nice hotel, accessible by public transportation. Note that on weekends very little service on public transportation is available and taxi is overpriced. Come by car if you can. Rooms are clean and warm. Breakfast is nice, but by 9h30 there is not a great choice in bread and croissants. Rooms need more light for my taste and needs. Handy, with lots of facilities very close by. Room was clean, quiet and comfortable, breakfast was also good. Not enough on site parking so had to use the Auchen car park attached. Good basic Hotel, handy for the motorway but not enough parking onsite. Rooms are good, clean with a good shower. Comfy bed toppers, Large TV. Good local amenities, supermarket, restaurants, fuel. Expensive though for this type of lodgings. Very conveniently located, plenty of parking nearby, clean and comfortable. The hotel and staff were very good, The staff in the attached restaurant were also very good especially Fernanda who looked after us extremely well. The problem was the restaurant had very limited choice, my wife chose the duck which she found almost inedible although my beef was ok. We were expecting a salad as advertised on the menu but,after taking off the top leaf of lettuce we were faced with more lettuce so we removed that lettuce and guess what we found underneath: you've guessed it, more lettuce. The salad consisted of lettuce and nothing else. We enjoyed our stay and will not hesitate to return to the hotel. The restaurant food was extremely good with efficient service. Good welcome, courteous staff and good food! Very pleasant hotel with very friendly and professional staff. A comfortable stay with helpful friendly staff. Hotel location and facility is good, but needs private secure parking. In restaurant, menu and quality are poor and price is bit too expensive. Staff were nice and helpful. Really good, staff polite and helpful. food from restaurant just right, rooms clean and comfy perfect for the short stay ,only moan being not enough of a choice of spirits behind the bar no, gin ,vodka e.g.. apart from that love the place. Friendly hotel staff, spacious room with working air-conditioning therefore a good night's sleep. The bedroom was cold and no heating was available in the air conditioning unit. I've sent an e-mail to the Hotel asking for clarification on this issue. Location still excellent as are the bedrooms. There had been changes to the restaurant menu and décor which we found disappointing. The restaurant had lost its warm cosy feel to become more of a bistro. There was now only five choices on the menu all with 'salad' and chips. The salad was a large stainless bowl of lettuce with dressing which was placed on the table. The chips were in another large stianless bowl which was also put on the table. There was a plate warming item on the table that was lit by a candle and the steak we had was put onto this once luke warm plates removed. Once the steak had been taken and dish empty the candle was left lit by staff so we blew it out, leaving hot wax which was a safety issue. The some of the staff were not as pleasant as others and I did not appreciate being told that you never served a Tours wine, when we have a photograph of the bottle of Chatteaux Tours which we had last year, nor being told to change my booking thorugh Booking.com when it was made throught the Accor website. Coming back to Ibis Nord had always been like slipping into a compfortable pair of slippers, where you knew what you were getting and felt satisfied and content. This year did not feel like this which was very disappointing for us. We actually sat and watched a coach load who were booked into the hotel, leave to go elsewhere for their evening meal. We spoke to another couple as we were leaving who had also gone elsewhere to eat so somehow you are not catering for those actually staying at the hotel.